where is the debate? 2 ministers back there was a call for a debate when Green Party were in the environment portfolio. Mr White also holds the commendable view that any serious debate about future energy needs must include the nuclear option. But therein lies the danger. There can be little doubt that this unlikely scenario will become the focus of any subsequent debate. Various interests will become polarised on the nuclear issue, rather than focusing on the real and more pressing issues of delivering safe and efficient electricity and gas supplies and ensuring that we do not have a second-class energy network to go with our well-recognised second-class water network. While there is always a place for ‘Nimbyism’, there is also a pressing need for Irish people to recognise that the common good should, in certain circumstances, prevail over individual and vested interests. what are the chances the debate will begin in the year before or of a general election ? low to none. via Sellafield facilities “do not meet modern standards” – UK nuclear watchdog. Irish authorities welcomed the (damning) report. Here in Ireland, the Department of Environment welcomed the report and said Ireland will continue to work with British authorities in decommissioning the plant. “Given our long-standing concerns in relation to Sellafield we welcome the report from the UK Office for Nuclear Regulation and also a previous report from the UK National Audit Office in relation to managing risk reduction at Sellafield. We believe that it is important that the Sellafield site and its operations are subject to independent scrutiny, such as that undertaken in the preparation of these reports. but in November 2012 the Irish Govt. received their own report that blew cold water on the dangers of Sellafield. Cold water is good I hear for heating rods. When they called for Sellafield to be included on a list of sites to be inspected after Fukushima explosions. The site was added. The Irish Govt. welcomed this. The site was then removed from the list. The Irish Govt. said nothing! Its OK for Sellafield not to be tested as no one will notice it being removed from the list – sssh! Is anyone paying attention to this. It’s old, it’s the oldest in the world, it’s dangerous, it’s broke as a business (MOX plant closing), it is continuing to cost billions to the UK tax payer to (not) clean up, and future new build nuclear can only be built with unprecedented state backing and incentives with high price fixed buy back of energy. There is one thing I will agree with the pro nuclear lobby, it is not going away any time soon, not in my life time not in its half life time, it will be here even when we stop. So we should stop it now. Shut Sellafield. An Investigation has been launched into a near catastrophe at a nuclear reprocessing plant at Sellafield in Cumbria – despite bosses’ attempts to downplay the seriousness of the incident. A chemical used in the process was mistakenly placed in the wrong storage tank. 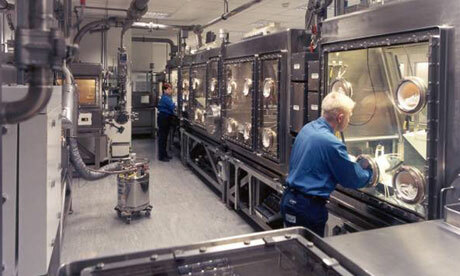 The error was spotted before the reprocessing of radioactive material began, averting a disaster which could have wrecked the reprocessing system. Sellafield Ltd, the private company which operates Sellafield nuclear power station, confirmed today that an investigation was taking place into how the error happened. The company said there had been no threat to its staff or the environment. The incident happened at Sellafield’s Thermal Oxide Reprocessing Plant (Thorp) on May 14. A damning report by safety experts has revealed that staff at Britain’s most important nuclear site did “not have the level of capability required to respond to nuclear emergencies effectively”. 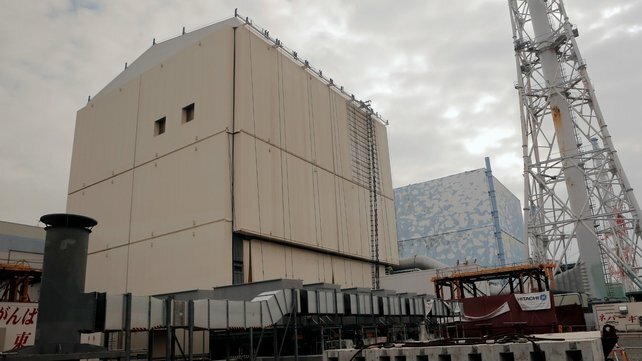 In response to a freedom of information request, the Office for Nuclear Regulation (ONR), an arm of the Health and Safety Executive (HSE), said errors by senior fire officers in a preparedness exercise at Sellafield “could have led to delays in responding to the nuclear emergency and a prolonged release of radioactive material off-site”. The criticism is revealed at a critical time for the nuclear industry, which is trying to build public confidence after the crisis at the Fukushima nuclear plant while drawing up plans to construct a new generation of atomic power stations in Britain. It is also an embarrassment to Nuclear Management Partners, the private sector consortium which runs Sellafield and is part-owned by Areva, the French engineering company that has prepared the design for a proposed reactor at Hinkley Point in Somerset. The initial report from the ONR led to an improvement notice being issued to the Cumbrian site, ordering it to improve its training and wider preparedness to deal with emergencies. Two HSE fire specialists had watched a safety exercise in December 2011 which tested the Sellafield fire and rescue service’s ability to search for two people after a fictional accident that led to the spillage of radioactive liquid and an aerial release of radioactivity. Although the exercise presented “simple scenarios under ideal conditions”, the service’s “resources were stretched” and “there were insufficient numbers of firefighters to achieve the objectives”, according to the HSE report. Sellafield Ltd., the operator of a nuclear reprocessing site in northern England, faces prosecution over claims it sent four bags of radioactive waste to landfill, according to the U.K.’s nuclear and environmental regulators. The company must answer charges it sent the bags from its Sellafield site to the Lillyhall landfill facility in nearby Workington in 2010, according to an e-mailed statement from the Office for Nuclear Regulation and the Environment Agency today. The prosecution of the company, which is responsible for nuclear waste management on behalf of the U.K.’s Nuclear Decommissioning Authority, follows a 2 1/2-year investigation by regulators. It faces nine charges to be heard at Workington Magistrates Court on Dec. 12, according to the statement. As well as waste disposal at Lillyhall, the charges relate to transporting dangerous goods, lacking adequate management and resources to meet environmental obligations, and failing to use the best tests and measurements to comply with its environmental permit, the statement shows. Sellafield will “take the time to consider the information provided to us” by the Environment Agency and the Health and Safety Executive, Karl Connor, a spokesman for the company, said today in an e-mailed statement, declining to comment further since the matter is subject to court proceedings. The Sellafield site is home to the world’s first commercial nuclear power station, Calder Hall, which generated electricity from 1956 to 2003. An “intolerable risk” is being posed by hazardous waste stored in run-down buildings at Sellafield nuclear plant, a watchdog has found. The National Audit Office (NAO) also said that for 50 years, the operators of the Cumbria installation failed to develop a long-term plan for waste. Costs of plant-decommissioning has also spiralled out of control, it said. Operator Sellafield Ltd, said it welcomed the report’s findings and was “making improvements”. The plant is the UK’s largest and most hazardous nuclear site, storing enough high and intermediate level radioactive waste to fill 27 Olympic-sized swimming pools. The NAO report states however, that owners of the station do not know how long it will take to build storage and treatment centres for the hazardous material or how much the final bill for decommissioning the plant is likely to be. If climate change concerns you, consider nuclear power, which, according to many of its proponents, does not involve emissions of carbon dioxide or other greenhouse gases. But is this true? Kristin Shrader-Frechette contests those claims; she also discusses the financial costs of nuclear energy, the risks to human health it poses, the perils of industry-funded science, and the contours of the Fukushima Daiichi nuclear disaster. The Mox nuclear fuel plant at Sellafield was closed on Wednesday , with the loss of around 600 jobs. The closure is a consequence of the Fukushima incident in Japan in March, which has closed down much of the nuclear industry there and led to a rethink of nuclear power around the world. But the government said the move had “no implications” for the UK’s plans for new nuclear reactors. How much did that cost the taxpayers? What was the business model again? ship spent nuclear fuel around the world in rusty ships, sail it up the Irish sea, reprocess it, sell it, oops who wants to buy it? Nobody.